The 60s Allstars are four very experienced musicians who in their own right deserve recognition for what they have done throughout the years. The band members between them have worked with The Kinks, George Harrison, PJ Proby, The Swinging Blue Jeans, The Foundations, Brian Knights Blues Band, Marty Wilde and many others. The sound that they have managed to create is the very authentic sound of the 60’s with a modern approach. Rock & Roll at its very best! 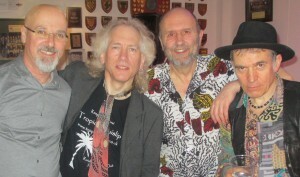 The 60s Allstars had played in Barnes for many years, originally at the Red Lion, Castlenau and subsequently at Barnes Rugby Club near The Wetlands Centre, where Barnes Rock took over the organisation of events. The quality of the 60s Allstars performances set the precedent for the aim of Barnes Rock which is to present musicians of a proven pedigree and professional track record of success in the sixties to nineties. 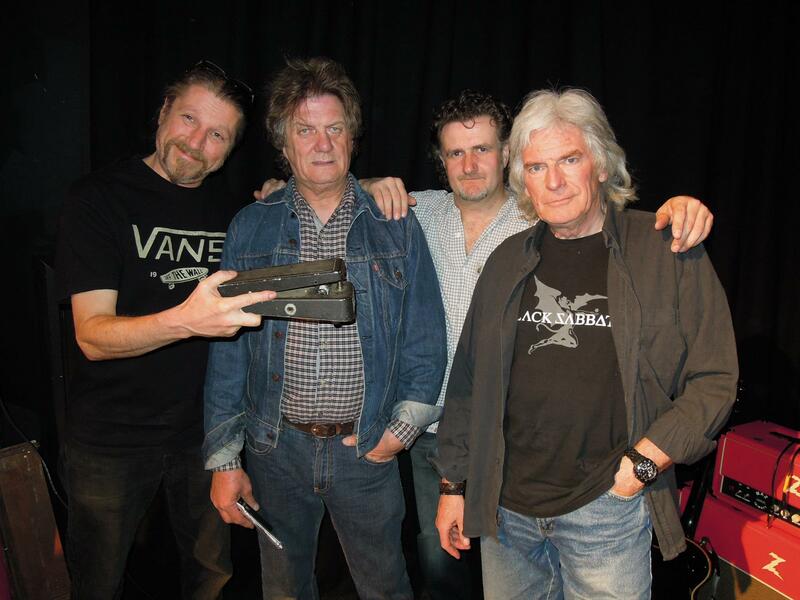 As the name suggests, The Persuaders play 70s music which will get you rocking all night long! Robin Bibi has played guitar with The Pretty Things, Robert Plant, Jimmy Page, Helen Shapiro, Cliff Bennett, Ben E. King and Barbara Dickson and has shared billing with such legendary names as BB King, Bob Geldof, UB40, The Stranglers and Jethro Tull. Del Mandel worked with George Harrison in the 70s and has played or recorded with members of the Beatles, Kinks, Foundations, Ten Years After, Alvin Lee Band and many others. In the 80’s he toured Britain and Europe as a member of Aubrey Lovejoy & Tennessee Rain, backing country singers from the USA. He also played with JJ and the Fliers [recently described on Radio1 by Ade Edmonton as the best band he ever heard ] featuring the late great Archie Leggett on bass and Jon Cleary on piano. Andrew Heart is a fine bass guitarist who has worked with Billy Idol, Brian Connelly’s Sweet, Bob Geldof, Phil Lynott, Gus Isidore (Seal) and Micky Moody. Ivan Hoe began his professional career at 17 with the South African equivalent of the BBC Big Band. Ivan was also a member of the Larry Amos Band – South Africa’s leading blues/rock band. Since then Ivan has performed and/or recorded with a diverse range of bands and artists ranging from modern Jazz with Jazzuki, theatre companies, the Mickey Jones Band (MAN) and Tortoise Corpse (Thrash Metal). Ivan is currently a member of the Grapevine Blues Band. The Persuaders put on a great evening of principally 70s music guaranteeing a crowded dance floor to songs by Bowie, TRex, Bee Gees, Bruce Springsteen, Fleetwood mac, Abba, Foreigner and many others. The Sharpees were originally a North Kent based band made up of three ex-members of Rebel who played at most of the Kent and London circuit in the late 70s and early 80s. They released their first single “Rocka Shocka” with the well known East London label Bridgehouse Records. Original member and founder Bill Mead’s long history of differing styles which mesh with the Sharpees unusual aggressive mix of blues, rock, country and classical styles so well, ensures that the band is always exciting and fresh with much improvisation. Bill Mead started the Sharpees back in 1980/84 with Pete Goodey and John Smith. 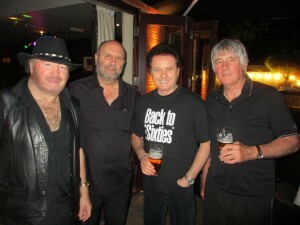 He reformed it in 2004 and the Sharpees are now based in Shepperton, Middlesex. The band regularly tour France, Holland, Belgium and Greece as well as performing in the UK, where they have played gigs all over the south coast, but most notably, some prestigious venues in London e.g. The Marquee, Wardour Street, Soho. Dingwalls, Camden Lock. The Nashville Rooms, Kensington (where Motorhead’s Lemmy liked the band so much he tried to buy Bill’s Rickenbacker! ), The Golden Lion, Fulham, The Greyhound, Fulham Broadway and The Hope And Anchor, Islington. Robin Bibi is a well known and popular performer. A fine Blues Rock guitarist, he is a highly versatile character and a true professional who really knows how to entertain and can keep a crowded dance-floor on their feet throughout the evening. He has played guitar with artists such as the Pretty Things, Robert Plant, Jimmy Page, Helen Shapiro, Cliff Bennett, Ben E. King and Barbara Dickson and has shared billing with such legendary names as BB King, Bob Geldof, UB40, The Stranglers and Jethro Tull. His repertoire covers classic music from the 60s, 70s and 80s. Robin’s Band are musicians of the highest calibre and include bassist Tony Marten, also a talented singer who has a repertoire of Beatles covers, Drummer Paul Robinson who’s session career reads like a “Who’s Who” of contemporary music, having played with Nina Simone for 19 years as well as such diverse artists as Van Morrison, Art of Noise and Val Doonican. 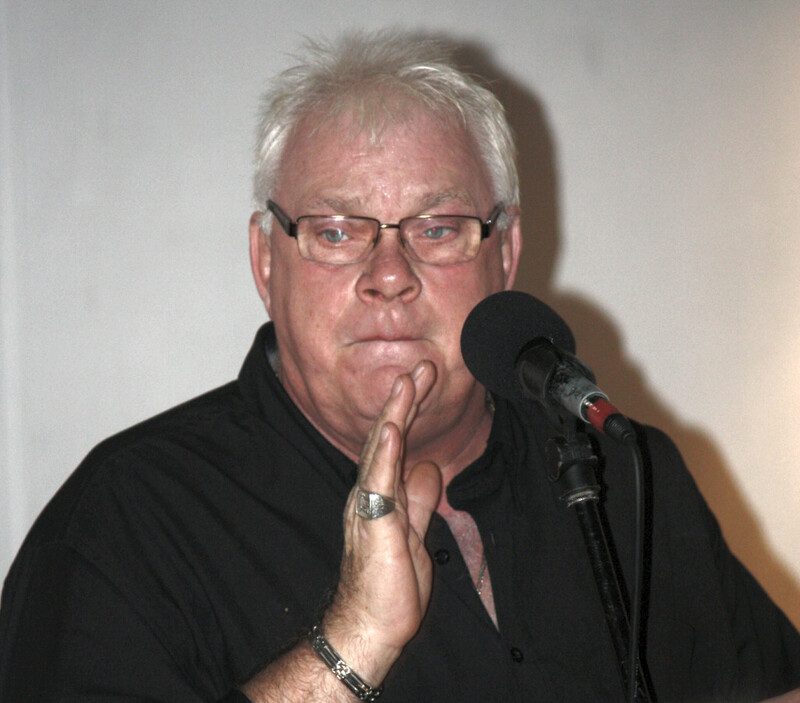 He has also played on chart hits such as Video Killed The Radio Star (Buggles) and 500 Miles (Proclaimers). Robin is often joined by fabulous Blues / Soul singer Paul Cox, sometimes called the ‘Pavarotti of British Blues‘ with a voice that has to be heard to be believed. Over the years Sam has worked with Chaka Khan, Dr John, Ben E. King, Robert Plant, The Foundations, Gordon Haskell, Billy Ocean, Desmond Dekker, Eddie Floyd, Roger Chapman, Michelle Shocked, Stan Webb, Gary Moore and Ottis Taylor………… to name but a few. 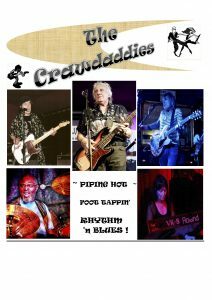 Recently, with Mick Ralphs, Paul Jones, Imelda May, Robben Ford, Andy Fairweather Low and Chris Barber…..and now, ‘The Crawdaddies’ !!! ** Line up subject to change from time to time due to availability. John Dominic was the lead singer of legendary blues/rock band the Bo Street Runners who famously won Ready Steady Win the first televised rock talent show. Changes of personnel followed this initial success and after three frustrating years on the UK circuit he and then drummer Mick Fleetwood decided to quit the band to pursue their careers elsewhere. John continued his love of rock music whilst carving a busy career writing, producing and,later,directing TV commercials and he forged regular gigging relationships with Camden bands such as The Radical Sheiks and Hot Club. He also recorded the iconic harmonica solo on Lulu’s cover version of My Boy Lollipop and appeared on national TV with her to promote the single. The 21st Century saw the start of a continuing liaison with The Deborah Bonham Band including featured spots on her album The Old Hyde and at numerous Rock Festivals among them the annual Fairport Convention Cropredy Festival the Cambridge Rock Festival and Weyfest. Former Stranglers front man Hugh Cornwell invited Dominic to record two numbers on his solo album Hi-Fi and as recently as October 2017 he played live with Hugh on the opening night of his UK solo Acoustic Tour having previously guested with him at The Borderline,the Scala and La Java Club in Paris. John had always maintained a close personal friendship with drummer Mick Fleetwood which dated back to the late 1960’s. Having enjoyed being a VIP guest on the huge Fleetwood Mac Rumours Tour across the USA in 1977 he got a more recent call to do a vocals/harmonica spot with the Mick Fleetwood Blues Band in Las Vegas and Hawaii in 2015. The Deborah Bonham Band won great acclaim in 2017 having formed the nucleus of Paul Rodgers Free Spirit band for his spring UK tour.The band themselves played to a sell-out audience at London’s 100 Club and the review in Record Collector magazine described Dominic’s harmonica playing as ‘masterful’. There followed Festival gigs at Cambridge, Chichester and the Festival Mozaique in Normandy to round off a fulfilling musical year. John Dominic continues to enjoy regular guest spots with Barnes Rock regulars Robin Bibi and the 60s All Stars. 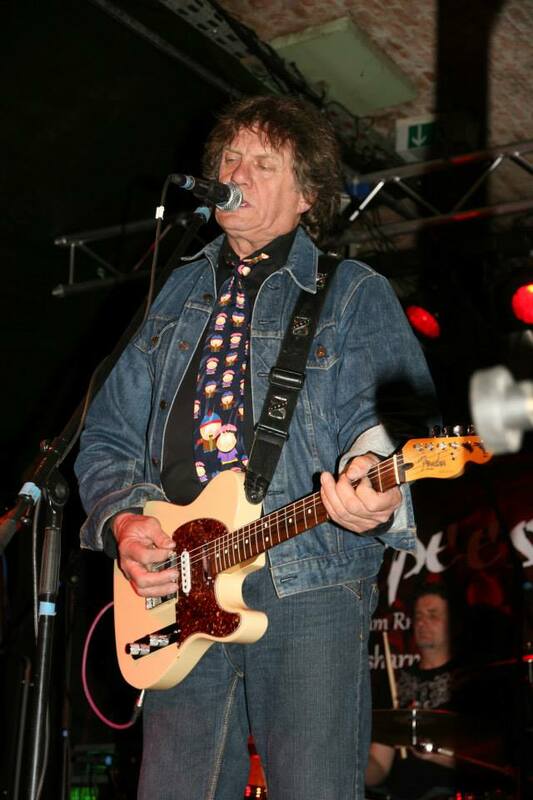 Without doubt, one of the best blues-soul singers in the UK today, John Warwick was vocalist for the famous sixties Richmond Rhythm & Blues band, Steam Packet. 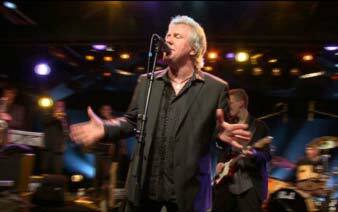 His band, Blues Express, was voted best blues band in the UK by Melody Maker. He now fronts The John Warwick Band and has a large loyal fan base in London. John has a powerful gravelly voice and with his soulful delivery, he sounds like he’s spent a lifetime belting out rock and blues numbers in late night bars! Stealing Dan and Don play Barnes Rock in a slimmed down trio format keeping the total authenticity, subtlety and sheer brilliance of the music of Steely Dan and Donald Fagen completely uncompromised. Chris Clarke – Keyboards, Trumpet and lead vocals. Chris has lead Stealing Dan and Don since its inception back in the late 90’s and has actually developed his own unique arrangements of some of their notable songs, whilst at the same time keeping a true and faithful interpretation throughout … and his powerful vocal delivery really brings out the best in these classic songs. Polly Raymond – Lead / backing vocals. No stranger to Barnes Rock, Robin is one of the UK’s finest blues guitarists who has worked with the Pretty Things, Robert Plant, Jimmy Page, Helen Shapiro and many others. A seasoned session man himself, Robin is totally at home with the music of Steely Dan and brings a lively, rocky element into the band. He has also worked with Chris and Stealing Dan in different formats since its formation. CLASSIC, UNIQUE AND UNMISSABLE !!! 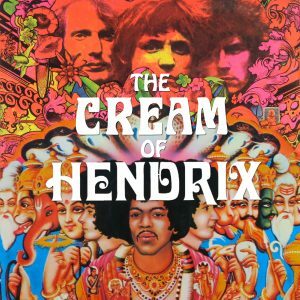 The Cream of Hendrix plays the music of the Blues-Rock pioneers, Cream and Jimi Hendrix as well Rory Gallagher, Robin Trower, Free and others. The set list includes: All along the Watchtower, Hey Joe, Foxy Lady, Sunshine of your Love, Politician, White Room, Badge, The Stealer, Alright Now, Mr Big, Messin’ with the Kid, Bridge of Sighs. 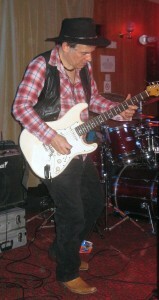 Steve Summers (Guitar and Vocals): Steve took his original inspiration from the music played by Cream and Jimi Hendrix. A former session guitarist, and sometime music producer, he currently leads his own band playing his original compositions, as evidenced on the 2 critically acclaimed albums Looking Back, Moving On and recently Rainmakin’. Formerly, Steve has played with numerous bands, including Lip Service where he played with brother Gary and did TV appearances alongside Marc Bolan and David Bowie. Neil ‘JP’ Flowers (Vocals): Neil started singing with local south London blues bands in the late 80s, including stints with Gary Brewer and the GB’s, Blues Patrol, JP and the Wise Guys, 14 Cousins and JP and the Crossroaders. He is building a solid reputation as the go-to singer for blues and rock vocals, but is equally at home with soul and jumping jive. 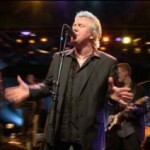 JP has a love of all great vocalists, including Paul Rogers of Free and Bad Company. Gary Summers (Bass and Vocals): Originally inspired by the Beatles, Gary took up guitar at age 11 and has played all over the world in numerous bands, and with many ‘name’ musicians. A relatively recent convert to Bass when he joined brothers Steve and Jeff in the Loudshirts, Gary has had stints in the NWBHM band Weapon and latterly plays regularly with British rock legend Mick Underwood in Glory Road. Keith Boyce (Drums): Keith’s musical CV reads like a who’s who of rock. Some of the people he’s worked with over the years include, The Heavy Metal Kids, Savoy Brown, Long John Baldry, Bram Tchaikovsky, Deborah Bonham, Tim Bogert (Jeff Beck/ Vanilla Fudge) Eddie and the Hot Rods, the Angelic Upstarts, Greg Ridley (Humble Pie) and Bob Weston (Fleetwood Mac). Keith has also jammed with Steve Marriott, Ronnie Lane and Ian McLagan, also Rory Gallagher. In the Studio Keith has worked with some of the world’s top producers including Mickie Most, Andy Johns, Ron Nevison, Martin Rushent, Steve Parker, Keith Harwood and Dave Dee. Andrew Heart brings you a wide variety of songs from the 70s to the present day. Whether on his own or with his full band, the dance floor’s always full! Andrew has worked with Billy Idol, Brian Connelly’s Sweet, Bob Geldof, Phil Lynott, Gus Isidore (Seal) and Micky Moody. Richard worked with The Strawbs, Hudson-Ford and The Monks and wrote the No1 hit ‘Part Of The Union’. Peter has worked with Rick Wakeman, Cliff Bennett, Patti Boulaye, Screaming Lord Sutch, Wee Willie Harris and Rosco Gordon. Becky has worked with Dell Richardson (Osibisa), Howard Tibble (Shakin Stevens), Alan Warner and Big Sur. Paul Cox is one of the best showmen and singers around today. Equally at home with Soul and Blues songs, and more than capable of Rockin’ it up, he has been described by DJ and Blues Band legend Paul Jones as having “ one of the best voices in the UK.” Paul has an impressive track record, playing with great guitar players including Snowy White, Ray Minhinnett, Henry McCulloch, the late John Slaughter, and recently French guitarist Chrlie Fabert. Paul is a regular at venues and festivals across the UK and Europe , including Montreux, Ronnie Scott’s, the London Palladium, and the Royal Festival Hall. He has opened for some of the greatest artists in the world, including Ray Charles and Eric Clapton, and sung with Paul Rogers, Bonnie Tyler, Sam Brown, Ruby Turner, and Debbie Bonham. Dave Lusher’s father was Don Lusher, well known trombonist, and his mother singer with The Lou Preager Band, inspiring both him and his brother to play music. They started a band together when Dave was 15. Dave was very much influenced by Jimi Hendrix. He stood in for the guitarist in Pilot, famous for their hits in 1974, “January” and “Ho Ho Ho It’s Magic”. In 1976 he formed Ex-Directory and had a record deal with Shell Talmy who worked with the Kinks and The Who. The band played together for 5 years. 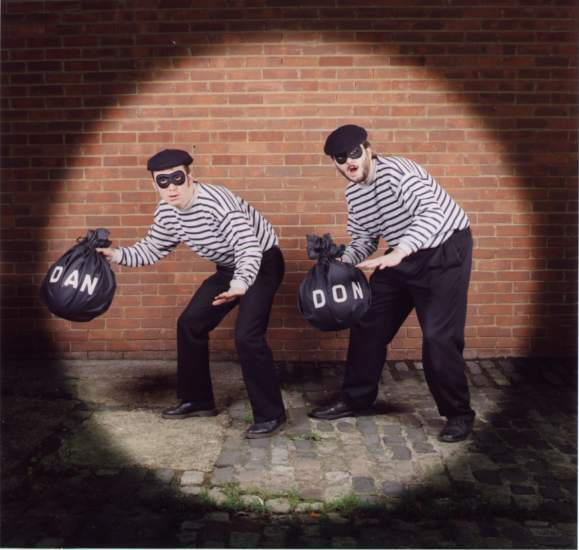 Dave and his brother Phil continued to write music. He then formed a band called Mirror with his former wife and her twin sister and had a record deal with Arista, going on to do the Eurovision Song Contest heats in 1983, coming second. Dave has continued to be involved with music and various bands over the last 25 years and has just had a very successful reunion gig with Ex-Directory. Julie Clifton has been a professional singer for many years. She has worked with various top London bands performing at West End venues including The Savoy, Grosvenor House, Cafe Royal and a residency at Cafe de Paris. Her theatre work includes ‘1st Murderess’ in Chicago and ‘Ronette’ in Little Shop of Horrors. Julie has performed all over the world including RAF and Army bases, a residency at The Royal Cliff Beach Resort in Thailand and sung at weddings in Gibralter. 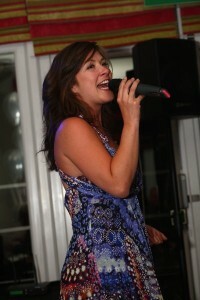 Julie has also entertained on P&O Cruise ships Canberra, Arcadia and Oriana. 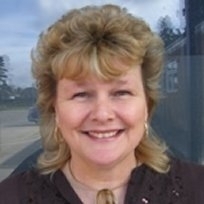 She currently sings locally and enjoys a more settled life teaching singing in 8 Surrey Schools. Ali MacKenzie and Derek Griffiths first met in the early 1960’s. Ali was the singer in ‘The Birds’ who also featured Ronnie Wood on guitar and Derek was the guitarist in the much acclaimed ‘Artwoods’ who featured vocalist Art Wood and keyboardist John Lord who later went on to play with the highly successful Deep Purple. The Wood boys were brothers, so both bands shared the same DNA. After the ‘60s Ali and Derek lost touch but met up again at Ronnie’s house on the sad occasion of Art’s funeral in 2006. 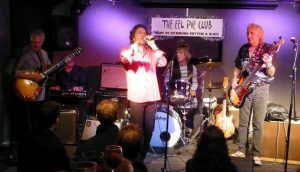 Subsequently both were asked to make a guest appearance at The Eel Pie Club in Twickenham at an event held annually to celebrate Art’s Birthday. From this small beginning Ali and Derek discussed the possibility of putting a band together and invited Keith Grant Evans and Mark Freeman from ‘The Downliners Sect’ and who had also been playing with Art in his last band ‘Art Wood’s All Stars’. The role of keyboard player was offered to Chris Parren (ex Strawbs and Maggie Bell) who Derek had met when they both participated in the ‘70s TV show ‘Rock Follies’. The Group fixed on the name Birdwood and that is the story so far…. Amanda Claire will get you all on the dance floor with her wide variety of classics from the 60s to the present day. Amanda performed in “Mamma Mia!” in the West End and in “Joseph” as the Narrator including the national Tour. She also performs in “The Winner Takes it All” playing the part of Frida, with top function band “Impulse Live”, Singout Sisters and with her own function band. Variety is what makes her so different.